Dr. Agnes Fogo, M.D., F.A.S.N. serves as Member of Scientific Advisory Board of Angion Biomedica Corp. Dr. Fogo is the John L. Shapiro Chair of Pathology, Professor of Pathology, Medicine and Pediatrics and Director, Division of Renal Pathology and Electron Microscopy at Vanderbilt University Medical Center. 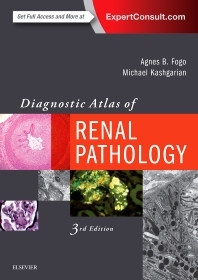 An expert in the area of glomerulosclerosis, Dr. Fogo has published over 280 research articles and reviews and has authored two textbooks of renal pathology. She has served as Pathology Editor for the American Journal of Kidney Disease, Associate Editor for American Journal of Pathology and The Journal of the American Society of Nephrology. She is currently Section Editor for Nephrology Dialysis and Transplantation and Associate Editor for Laboratory Investigation. Michael Kashgarian, MD is professor emeritus of and senior research scientist in pathology. He received his medical degree from Yale School of Medicine in 1958, completed his residency in pathology at the Yale-New Haven Medical Center in 1963, and completed a fellowship in laboratory medicine at Yale-New Haven Hospital in 1964. While on the Yale faculty he established a diagnostic renal pathology and electron microscopy laboratory that bears his name. He was also a pioneer in understanding the process of organ rejection. Although Kashgarian has retired, he continues to be active in the diagnosis of renal and cardiac biopsies.